While I serve as pastor of the Poquonnock Bridge Baptist Church, I always thank my God. I rejoice in the love shared through faithful discipleship over past generations. I celebrate the faith toward Jesus Christ present today in the lives of our members and friends. I have great hope for the future of our ministry in this place. As a congregation we associate ourselves with the American Baptist Churches of Connecticut and maintain strong ties to its ministry throughout the region, but we joyfully welcome people of all denominations, backgrounds and faith experiences into our community. We are grateful for all opportunities to share our journeys of faith and to discover new gifts with which we can be empowered to serve God and the people of God. Since the church was established in 1856 it has been a cornerstone for the small village in which it stands, and it has been a center of spiritual and social growth for the community of believers. Today I count it a privilege and a blessing to be a part of its ongoing story. At this church there continues to be a strong sense of commitment to community and outreach, and as a family of faith we are experiencing a renewal of our sense of ministry and mission, a rebuilding of our relationships with God, with one another and with the world around us, and a revitalization of our resources as we seek to understand what Christ might be calling us to do in this day and age. Here at Poquonnock Bridge Baptist Church you will find a spirit of love and warmth, an environment of care and encouragement, an atmosphere of laughter and friendship, a place of faith and witness. United by grace and prayer we gather with one another and with visitors to share worship and music that gives glory to God, to journey together in the study of Scripture so that through inquiry and discovery we might more fully understand what it is to be Christ’s disciples, to listen and learn from one another in openness and humility, to embrace the gift of fellowship, and to do the work of the kingdom in this time and this place. The hearts of many people have been refreshed by the hospitality of our congregation, the spirit of our worship, the love and concern of our members, and the strength of our outreach. This beautiful building and this marvelous ministry have been entrusted to our care, and we pray that we might be able to glorify God by tending to both. We pray that the sharing and strengthening of our faith may become more effective as we continue to see all the good we may do for Christ. We pray that God will lead and sustain us as we journey together into the years ahead. 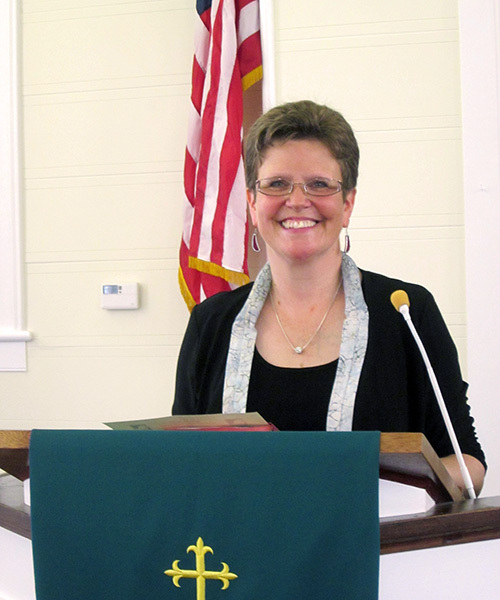 This website reveals glimpses of some of the faces, lives, programs and ministries of faith that are woven into the fabric of the Poquonnock Bridge Baptist Church. From their love and devotion to Christ, I have indeed received much joy and encouragement. And yet the fabric is always changing, always being recreated by the vibrant Spirit of God, always open to new faces and always ready to receive new life. I thank God because my heart is refreshed by the ministry we share and by the Gospel we embrace.